Are you using patient photography to its fullest but not satisfied with the results? Do your patients know the type of service and the quality of work you are providing? Do you use your clinical photographs only for treatment planning and patient records? Then you are missing out on an excellent opportunity to show off your great work. 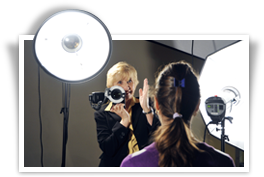 We will show you the tips and techniques to consistently take excellent patient views, portraits and the preparation of marketing and education material. Rita Bauer is a medical photographer and the Digital Education Media Specialist at the University of Toronto where she produces lecture material for the Faculty of Dentistry. She divides her time between the University and lecturing internationally, and with over 700 presentations and workshops on the subject she has trained thousands of dental professionals and has become recognized as a leading authority on integrating digital photography in the Dental Office. For her efforts to the dental community she has received Honorary Memberships as a Fellow of the International College of Dental Surgeons and the Omicron Kappa Upsilon Honor Dental Society.